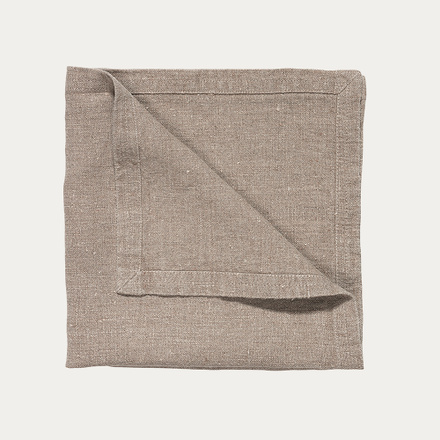 For everyday dining and celebrations around a well-dressed table, you’ll appreciate these classic linen napkins in Linen Beige. 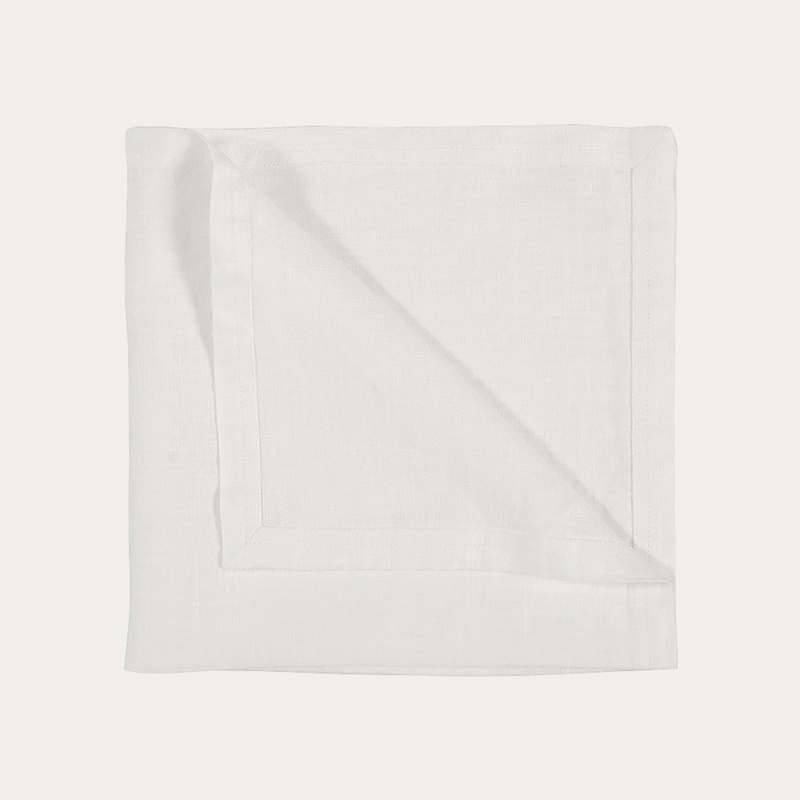 Crafted in pure linen, WEST napkins are made to be used time and time again. The distinctive rustic appearance of the linen is achieved by washing and drying the item after it is seamed, to create that honest and authentic look and feel. They also feature finely felled hems with top-stitched corners. WEST designs come in Nordic greys, white and classic linen beige. 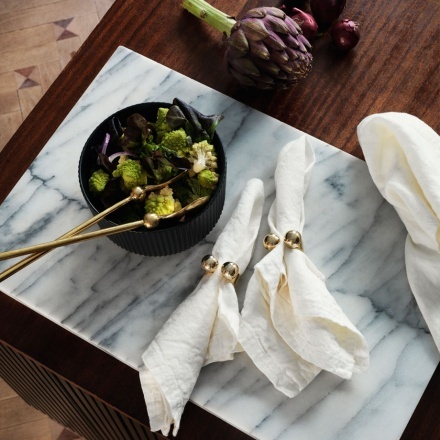 Get on-trend with subtle monochrome table dressing with tablecloths from the same range, or pair to perfection in your personal mix of colourways. Wash at 40 degrees and air-dry hanging and your napkin will be ready for use again. Un-ironed, it will revert to its laid-back rustic look. Alternatively, press or iron for the sophistication of a sharper, neater look. All WEST collection designs are easy-care, and are all individually or mutually versatile for multipurpose use. Designed to grace every room in the home, this is a collection of textiles that will last for years and age with dignity. – Size: 50 x 50 cm. 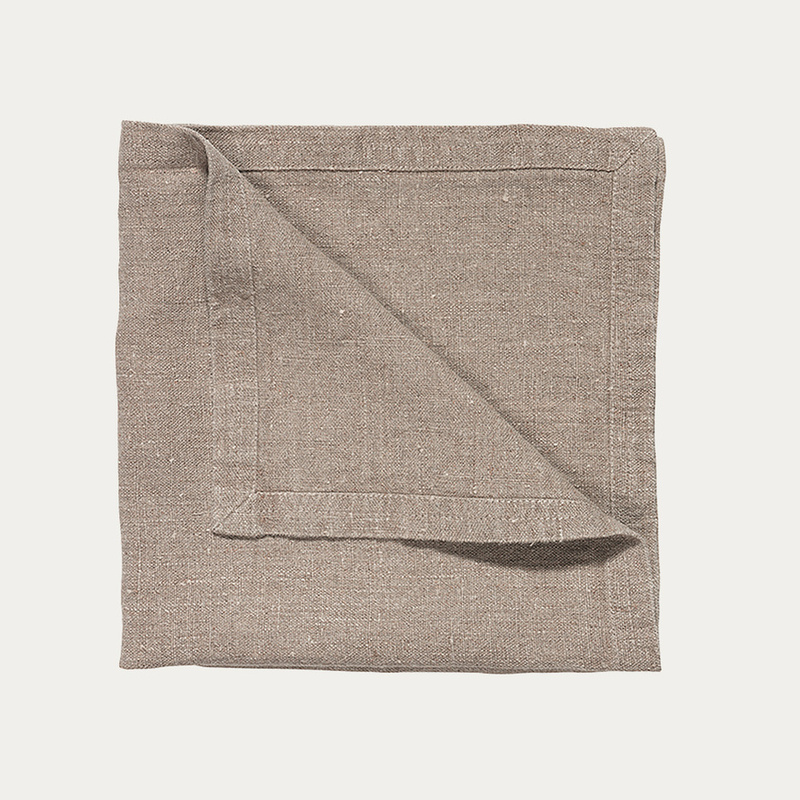 For everyday dining and celebrations around a well-dressed table, you’ll appreciate these classic linen napkins in Light Stone Grey. Crafted in pure linen, WEST napkins are made to be used time and time again. The distinctive rustic appearance of the linen is achieved by washing and drying the item after it is seamed, to create that honest and authentic look and feel. They also feature finely felled hems with top-stitched corners. For everyday dining and celebrations around a well-dressed table, you’ll appreciate these classic linen napkins in Granite Grey. 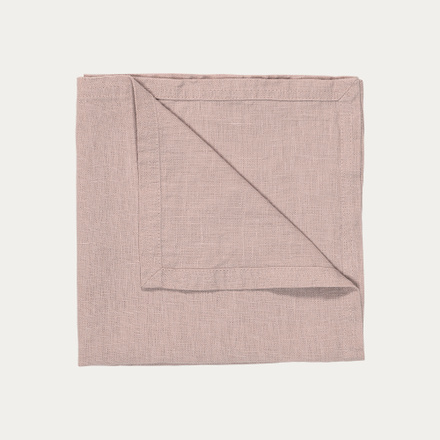 Crafted in pure linen, WEST napkins are made to be used time and time again. The distinctive rustic appearance of the linen is achieved by washing and drying the item after it is seamed, to create that honest and authentic look and feel. They also feature finely felled hems with top-stitched corners. For everyday dining and celebrations around a well-dressed table, you’ll appreciate these classic linen napkins in White. 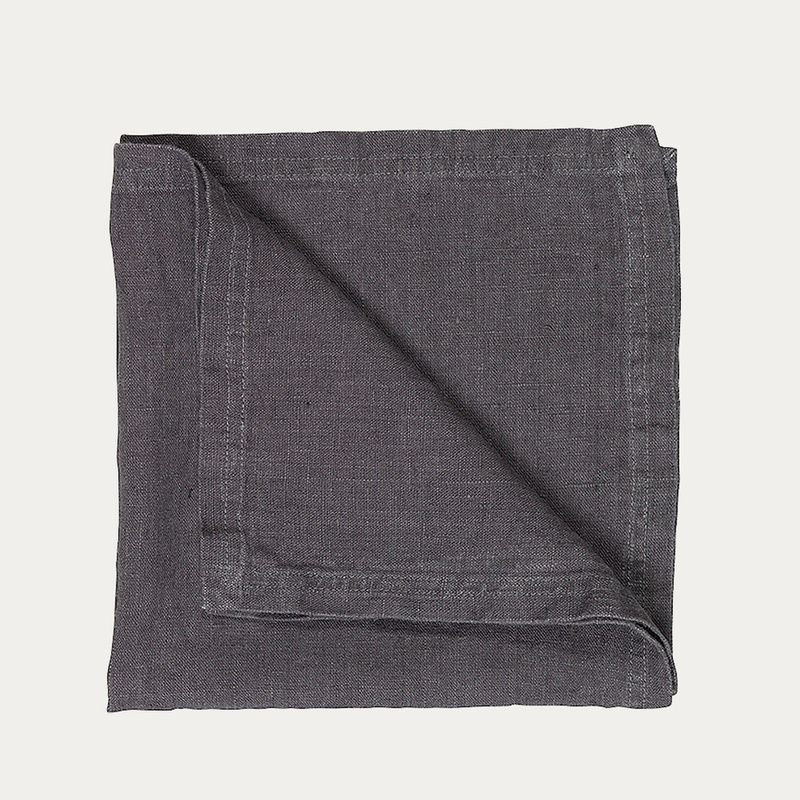 Crafted in pure linen, WEST napkins are made to be used time and time again. The distinctive rustic appearance of the linen is achieved by washing and drying the item after it is seamed, to create that honest and authentic look and feel. They also feature finely felled hems with top-stitched corners. For everyday dining and celebrations around a well-dressed table, you’ll appreciate these classic linen napkins in Light Dusty Pink. 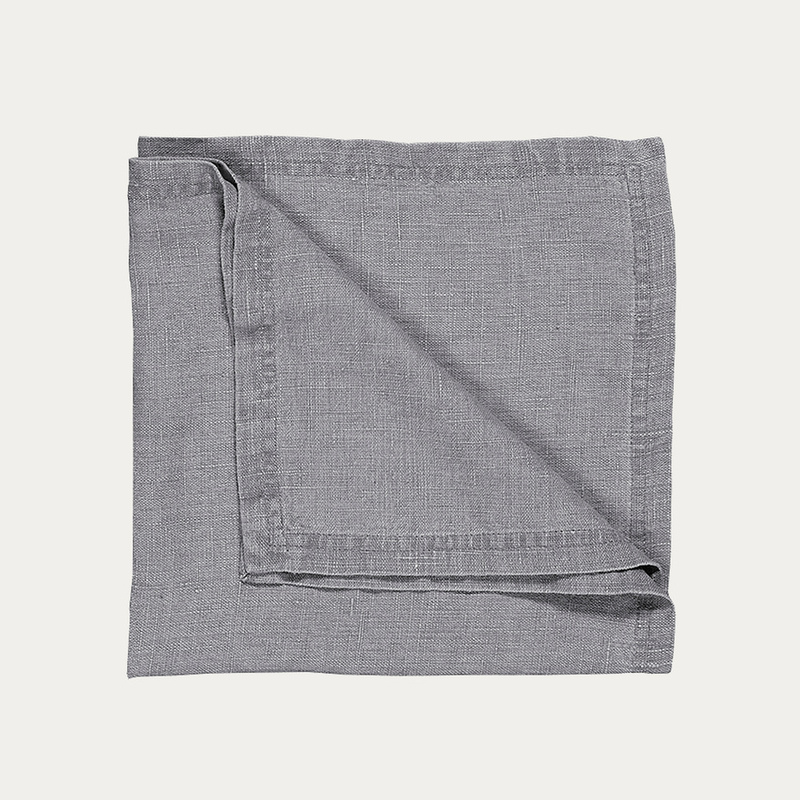 Crafted in pure linen, WEST napkins are made to be used time and time again. The distinctive rustic appearance of the linen is achieved by washing and drying the item after it is seamed, to create that honest and authentic look and feel. They also feature finely felled hems with top-stitched corners. –	Machine wash at 40 °C. –	Size: 50 x 50 cm.